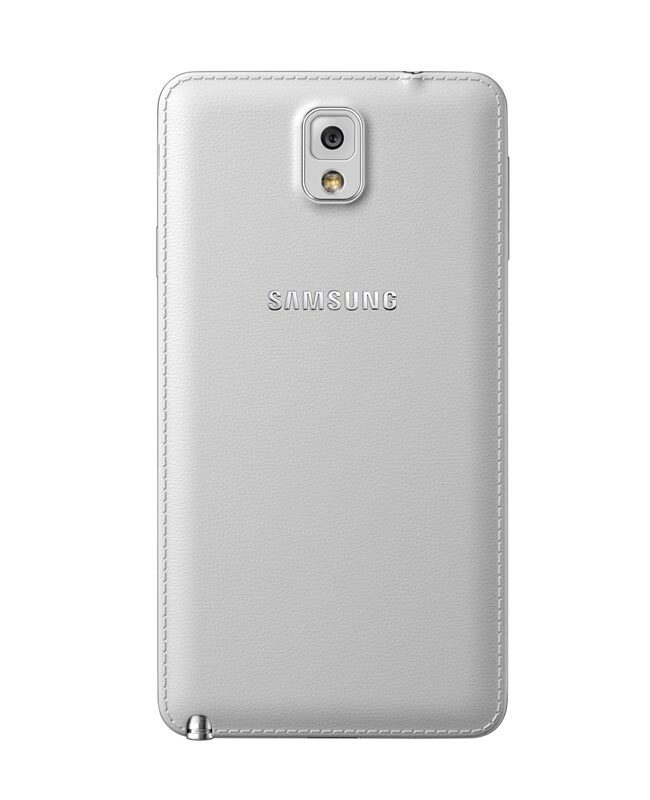 The new Samsung Galaxy Note 3 was made official yesterday, the device will go on sale in over 149 countries on the 25th of September and now we have all the details and specifications on the new Samsung Galaxy Note 3. 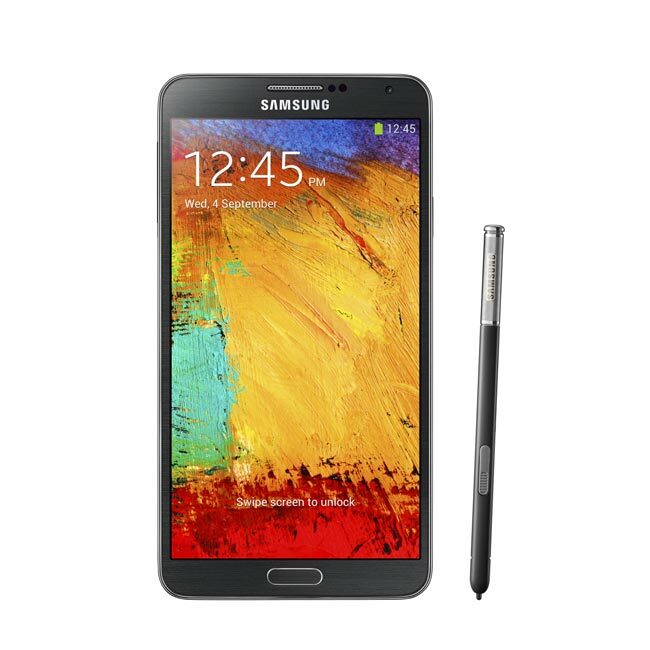 The Samsung Galaxy Note 3 will come with Android 4.3 Jelly Bean and it features a 5.7 inch full HD Super AMOLED display with a resolution of 1920 x 1080 pixels. Whilst the Galaxy Note 3 features a larger display than the previous Galaxy Note 2, the handset is actually lighter and this than its predecessor, it measure 8.3mm thick and weighs in at 168g. 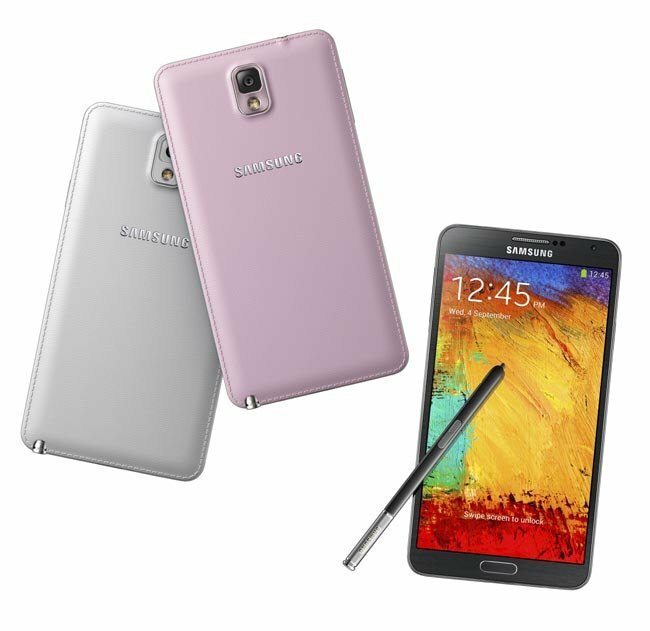 The Samsung Galaxy Note 3 is powered by a quad core Qualcomm Snapdragon 800 processor with a clock speed of 2.3GHz, it also feature 3GB of RAM. Samsung will also launch another version of the handset powered by a Samsung Exnyos 1.9Ghz Octa core processor, this will launch later in the year. The Note 3 comes with a choice of either 32GB of 64GB of built in storage, it also features a microSD card slot that can take up to 64GB cards for added storage. On the back of the Note 3 is a 13 megapixel camera with a BSI sensor, auto focus, and Smart Stabilization, the camera also comes with an LED flash. Up front we have a 2 megapixel camera which also features a BSI sensor and Smart Stabilization that can record Full HD video at 30 frames per second. The handset comes with a 3,200 mAh battery, plus Samsung’s S-Pen Stylus, this is a new version of the Samsung S-Pen with a range of new features, including Air Command and more. Here is a list of some of the features that will work with the new Samsung S-Pen on the Galaxy Note 3. *Scrapbook enables users to organize or track down content and information from various sources including the web, YouTube and Gallery in one place so that users can easily look back at collected content all at once. When consumers save content for future use, Scrapbook also collects source material or URLs allowing them to easily refer back to the original source. *The Screen Write feature captures the full screen image of the current page on the device and allows users to write comments or additional information onto the captured image. *S Finder allows users to expansively search for content on their device regardless of the type. By putting in keywords or filters such as date, location, and content type, users can search related documents, events, communication threads, and even the Help page – all in one place. In addition, users can also search for hand-written content in their Notes and memo applications, as well as symbols and formulas. *Pen Window allows users to use the S Pen not only for drawing sketches or writing notes, but now also for opening a small application window for a true multitasking experience. Simply by drawing a window of any size, anywhere on the screen, users can easily and quickly open another application window such as YouTube, calculator or Browser without pausing current activity on the screen. 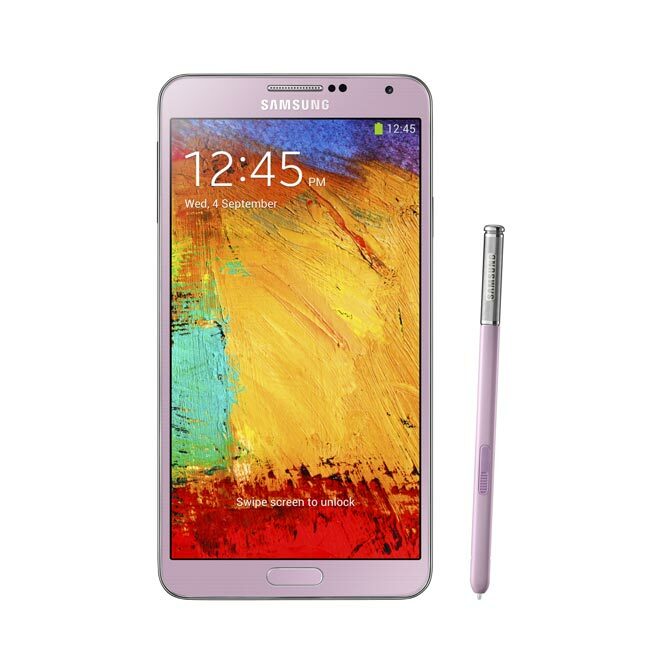 Other specifications on the Samsung Galaxy Note 3 include LTE, 802.11 a/b/g/n/AC (HT80) WiFi, GPS/GLONASS, NFC, Bluetooth 4.0 LE, IR LED and MHL 2.0. The Note 3 comes with a range of built in sensors which include an accelerometer, gesture sensors, a gyroscope, RGB, proximity, a barometer, temperature and humidity sensors and more. The handset will be available in three colors, white, black and pink at launch. The Samsung Galaxy Note 3 will launch in 149 countries around the world on the 25th of September, it will be rolled out to more countries in October, as yet we do not have any information on pricing, as soon as we get some more details we will let you guys know.